The AkroGold Direct Applied Exterior Finishing System (DEFS) is a durable, weather-resistant wall cladding for use on soffits, screen walls, and parapets. This cost effective cladding is a great choice for finishing soffits, screen walls, and parapets with an appearance similar to the plaster or EIF system used on the rest of the building, but with an easier application, lower weight, and less cracking. AkroGold DEFS is comprised of a water-resistive barrier, approved sheathing, base coat with embedded mesh, and an AkroFlex finish coat. The AkroGold Direct Applied Exterior Finishing System (DEFS) is a durable, weather-resistant wall cladding for use on soffits, screen walls, and parapets. This cost effective cladding is a great choice when using AkroFlex EIF Systems, Diamond Wall One Coat Stucco, or three coat stucco on the building’s walls. It allows soffits, screen walls, and parapets to match the appearance of the rest of the building, but with an easier application, lower weight, and less cracking. 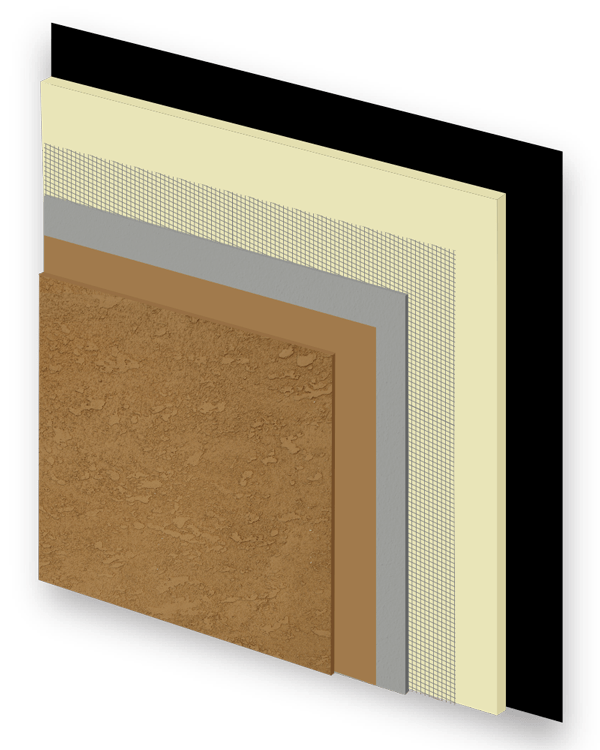 AkroGold DEFS is comprised of a water-resistive barrier, approved sheathing, base coat with embedded mesh, and an AkroFlex finish coat.